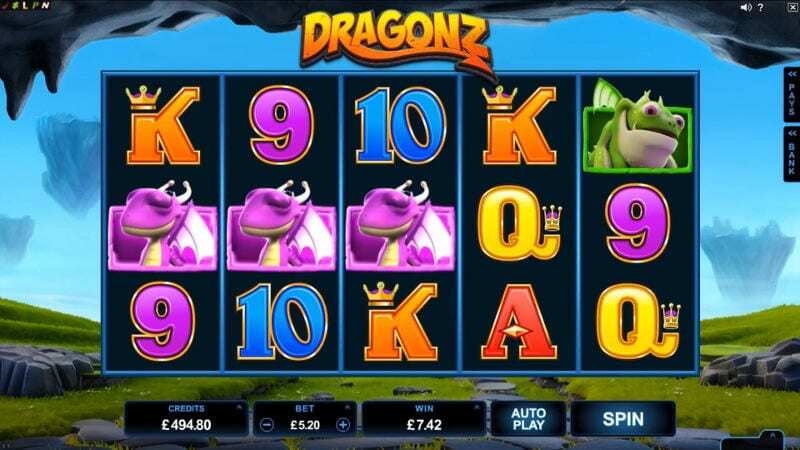 Dragonz is a beautifully executed dragon-themed online slot game from Microgaming that invokes the mighty powers of four miniature dragons for scorching wins. The fluidity of the gameplay is a real strong point, with cinematic cartoon graphics and a 243 ‘Ways to Win’ format replacing the more traditional pay-line structure. You can play slots online now! Each of the dragons: Switch, Flint, Gobble and Frost possess different skills which they showcase during the base game to enhance the experience. 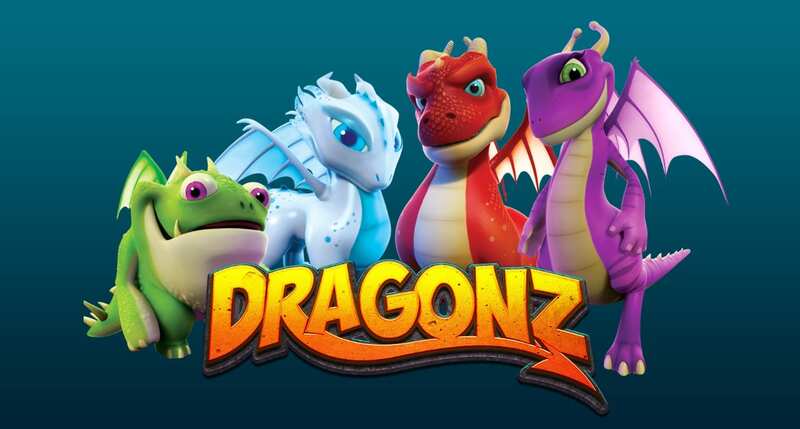 For those who prefer a dynamic, fun online game, Dragonz is likely to be a firm favourite. It’s also worth checking out Microgaming’s other creations, including Lost Vegas, Game of Thrones and El Dorado, amongst hundreds of others! With an impressive array of international awards under their belt, Microgaming has led the gaming industry from the front since it was founded back in 1994. Based in the Isle of Man, Microgaming’s portfolio of over 850 games and 1200 variations is used by casino operators all over the world. Innovation has always lain at the heart of Microgaming’s mission, starting in the 90s when the company established the first ever online casino, the Gaming Club. Microgaming is known to lead the way in creative development by releasing games that tap into the cultural zeitgeist, including Jurassic Park and Terminator 2. Furthermore, Microgaming has broken world records along the way when, for example, Mega Moolah paid out a progressive jackpot of 6.37 million euros in 2009. You can learn more about Microgaming's other games available here on Wizard the home of online slots, here. Wild Deal - When a non-winning wild symbol lands anywhere on the third reel, the wild will spread randomly to give you a guaranteed win. Flint - summons the power of fire to bring an increasing number of Flaming Wilds into play. Gobble - Gobble turns symbols into Winning Wilds which are locked in during the feature. Frost - Frost cools things down by freezing non-winning wilds and letting you spin until they have thawed into wins. After you have unlocked the free spins feature 12 times the game gives you the choice of which character’s free spins you’d like to play once the feature is activated. Those wanting to play Dragonz on the move can enjoy an optimised mobile experience that still retains all the character of the game. 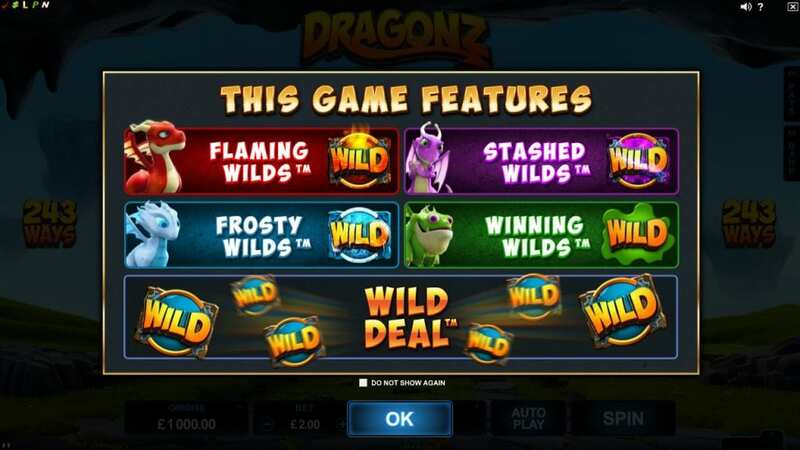 Microgaming has done it again with Dragonz by creating an online slot game that combines slick animation with a dragon’s cave worth of features for players to get stuck into. Giving players the option of choosing which free spins to trigger is nice. This is a game that will definitely be the fire breathing down the neck of the competition. If you liked Dragonz then you might also like The Twisted Circus.